Megalithic monuments apparently were built at least in part to line up with heavenly bodies. Perhaps the moon was the most important. Also, events in the year were marked. The first day of Winter, Mid-Summer, etc. Some people see this culture as a "nature religion". Does anyone know more about their beliefs? Also, does anyone know how much of this nature religion carried over into the traditional beliefs on religion in Europe? For instance, did elements of this nature religion, if such was the case, carry over into the beliefs of the Celts, Germans, or Slavs or any other European peoples? A very comprehensive and visually attractive site listing and explaining the megalithic monuments,standing stones, henges, dolmens, cromlechs etc. I've been wondering this myself, but there's not much evidence of how they practised their religion or what they believed in. 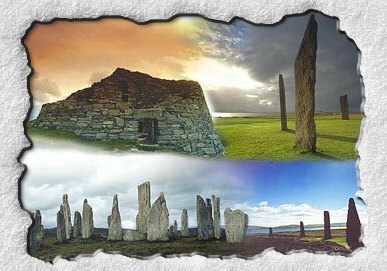 However I have long believed that the Celtic and Germanic religions that came after them must have developed from or been influenced by these earlier religions, so the closest you'd perhaps get to understanding the Megalithic religion of Britain would be to study ancient Druidry of which more evidence survives. To get an understanding of it in NW Germany and the Netherlands perhaps look at early Germanic Heathenry, although these areas weren't initially Germanic but belonged to a related culture, the Nordwestblok its probably going to be close enough. So no, we know little about the Megalithic religions but we can look to latter ones to perhaps find some specks of evidence as to what they may have been like. Was the Megalithic Society the Mother Culture?